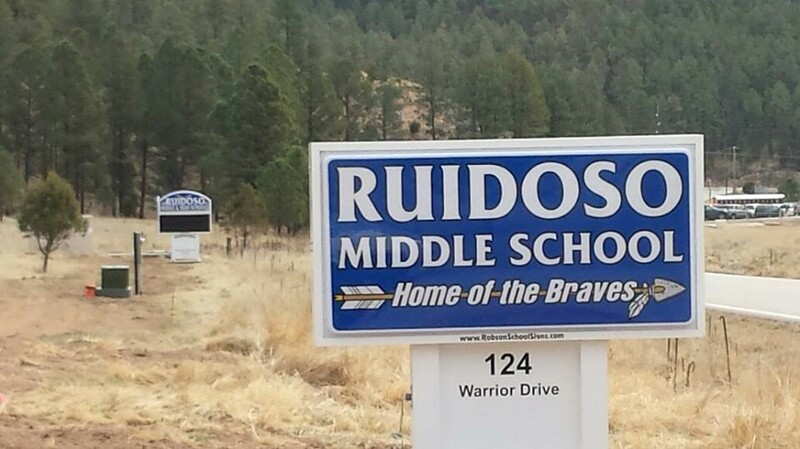 Ruidoso Middle School is committed to excellence. 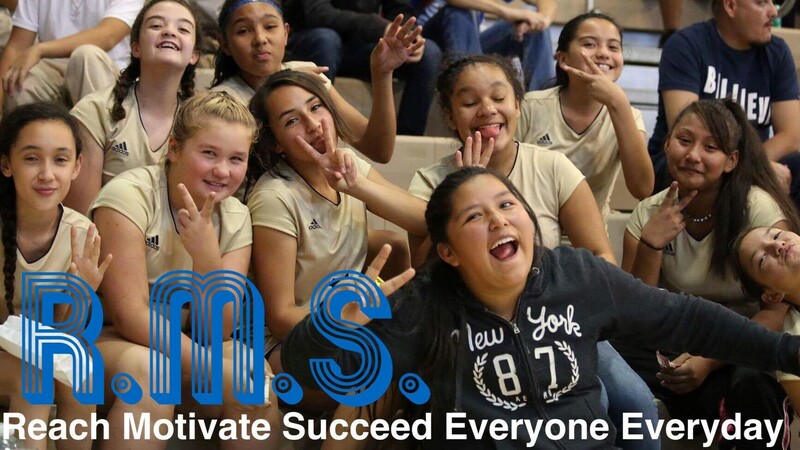 Ruidoso Middle School will persevere in achieving academic and personal excellence. 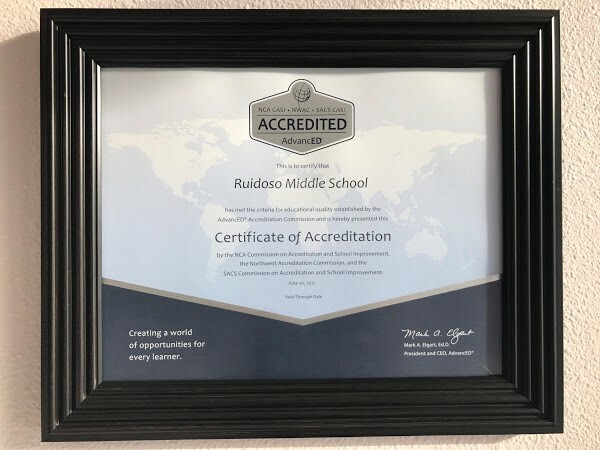 The staff of Ruidoso Middle School, in cooperation with Students, Parents, and the Ruidoso Community, are committed to providing an exemplary education for all students. Provide an environment where students transitioning to the middle school will thrive, succeed, and focus on excellence. Students will excel in academics and develop positive relationships in preparation for a successful life. Students will be prepared to successfully engage in rigorous academic courses in preparation for career and technical readiness. 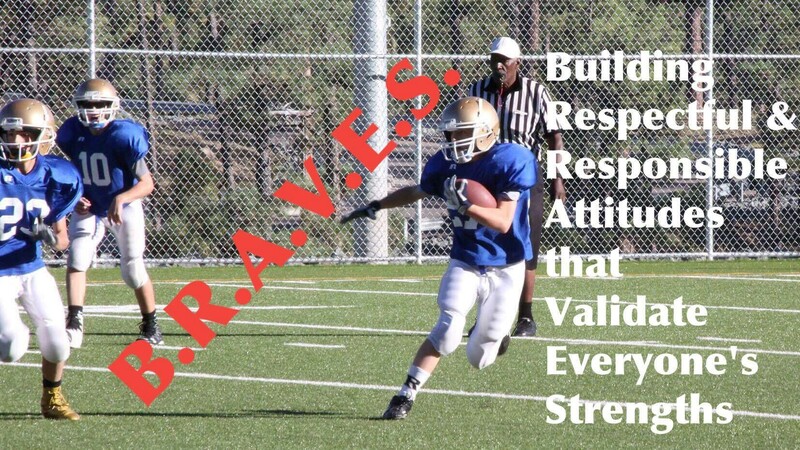 Students will persevere, strive for excellence, and contribute positively to the school and local community. RMS electives will provide an enriched learning environment to expand student awareness of career and life opportunities. The Special Education Department of RMS strive to understand students as individual learners with exceptional needs and learning styles. We also strive to collaborate with general educators for our students to successfully access the general education curriculum. Students will choose opportunities for success and development of self-advocacy. The teachers of the Bilingual Education Department aspire to promote literacy in both first and second language, thereby equipping English Language Learners with language fluency and confidence to be productive members of the community. 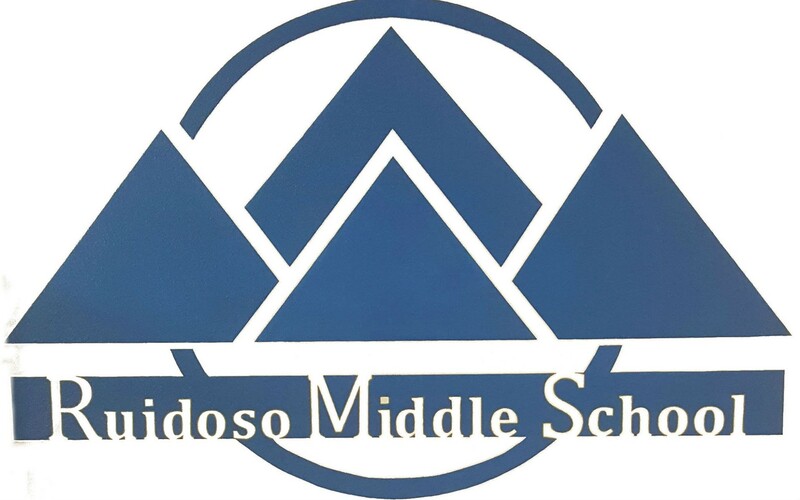 Ruidoso Middle School counselors will strive to do what is best for and will support our students, as well as to support teachers and staff in helping students. RMS counselors will also support students and teachers in testing protocols. Aspires to provide a quite environment for students to improve on reading and technology for them to excel on their mandated New Mexico State testing. The staff in the Health Services Department of RMS are committed to the wellness and well-being of the students and faculty. Our efforts are focused on providing a safe and inviting environment that facilitates comfort and care. Excellence in health services and the support of healthy lifestyles are the core of our foundation. 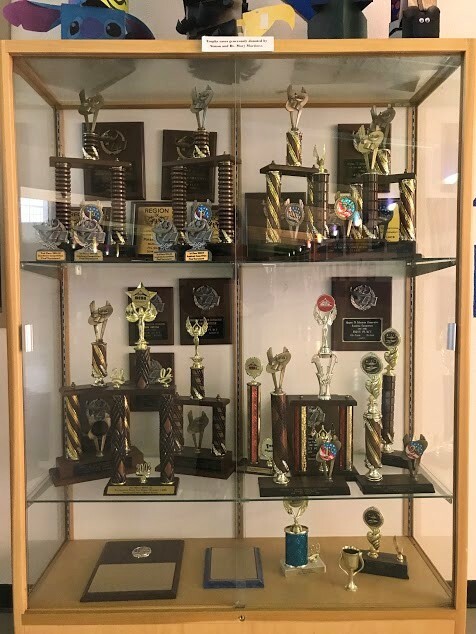 RMS Custodians will bring their expertise in using standard cleaning procedures, in order to manage and maintain a clean, tidy and safe environment. RMS administration supports a family environment where students and staff feel safe and supported. Administration will promote actions of academic and personal excellence, perseverance, and service to others. Students are unique in their needs, thought processes, and learning styles, and will be motivated in different ways. It is essential for each educator to demonstrate genuine concern for each student and show desire for each student to learn. Parental support and involvement is necessary to motivate students for optimum success in education. Self-esteem and self-respect are critical for a fulfilling life. 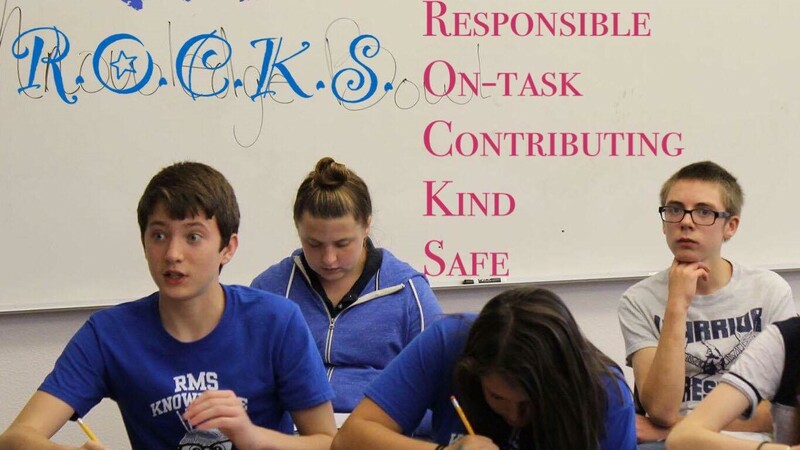 Students are entitled to a socially, emotionally, and physically safe environment. Students will learn in different ways. Students, parents, and teachers are responsible for student learning. Differentiation of instruction benefits all students. Teaching is effective when different instructional strategies are used. Active learning is very effective. Teaching needs to be rigorous and relevant. Teachers actively attend to student differences. Communicate the teaching objective to the students. Start a lesson by creating and anticipatory set/schema. Model desired thinking and skills. Guide students through the thinking practice. Students need positive reinforcement through incentives, rewards and genuine positive reinforcement. Teachers should share measurable goals with students and motivate students through activities that promote student ownership. Professional development is effective when relevant teacher learning is incorporated into classroom instruction to enhance student learning. A partnership with students, parents and guardians is essential. Communication between students, parents, guardians, and school staff is necessary for the accomplishment of student and school educational goals. Students are successful when schools, families, and students work together. Student engagement in collaborative products. Student products are posted and current. Student’s and teacher’s focus on Higher Level Thinking with Rigor and Relevance with the aid of Bloom’s Taxonomy and Depth of Knowledge Chart. Clear expectations and consistent monitoring of student behavior and academic performance. Staff utilizing Pyramid of Intervention for behavior and academics. Ongoing Staff Development that is relevant to our students’ needs along with the principles of learning. Teaching towards objectives which are clear, posted, and relevant to the students. Writing objectives that are student-centered and thinking-centered. Example: Students will explain the function of each step in solving…. Self-directed learners who take ownership of their academic progress and citizenship. Respectful participants in the RMS school community. Student ownership of interactive note taking. Student academic and behavioral goals setting and monitoring of their progress. RMS community - parents,students, and staff - participating in a Positive School Culture. Literacy night - commons area - 4:00 pm - 6:00 pm.